Do you need flat roofing installed on your property in Leeds or Bradford? Look no further! 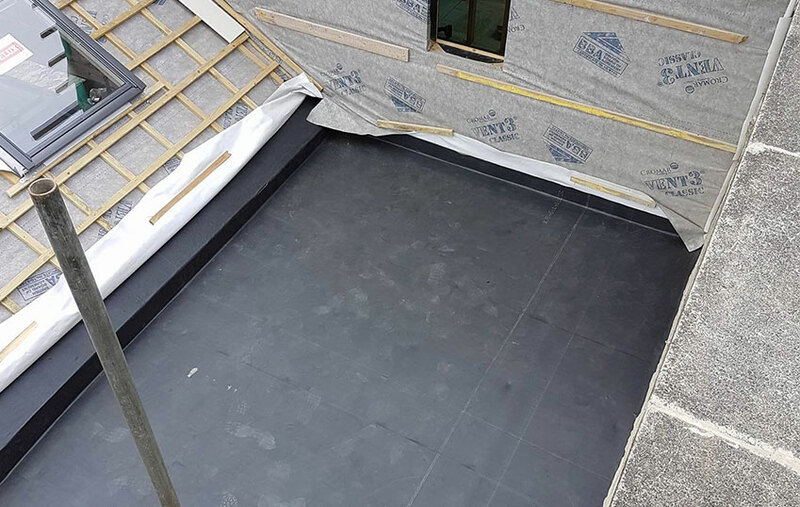 Here at Flat Roof Experts, we have nearly 20 years of experience in the flat roofing trade and specialise in EPDM flat rubber roofs. Since our foundation in 1998, we have established ourselves as leading flat rubber roof installers. We are a family business based in Bradford and take pride in being customer-focused. We are so confident of our quality craftsmanship, that we offer a 20-year guarantee. Get in touch for a free no-obligation quote. Working with a national network of surveyors and architects we provide a high quality, bespoke installation service to residential and commercial clients throughout Leeds and Bradford. So if you're looking for a flat roof then look no further than The Flat Roof Experts! Our flat roofing specialists have had all the necessary training so that you can be sure that we will have the appropriate skills, knowledge as well as having the most competitive rates around. For a professional rubber roof installation in Bradford or Leeds, call the Flat Roof Experts today on 01274 317 109. We are a family-run business with 20 years experience in the supply and installation of flat rubber roofing. Our focus is firmly on being able to provide our customers with exactly what they require, whether that’s supplying the best quality materials to the trade or delivering an installation to the highest standard. Giving our customers the best possible product at competitive prices is at the heart of everything we do at Flat Roof Experts and this dedication to our customers has helped us to develop many excellent working relationships. Providing customer service which is second-to-none, as well as support on purchases and installations, we are leading the way in an industry where this is sadly lacking.